KTM Duke 125 Price in India , Features and Mileage , Best 125cc Bike ? KTM launched its much awaited bike , KTM DUKE 125 in India. The company has priced the bike at Rs 1.18 lakh (ex-showroom).The Duke 125 is the cheapest KTM bike availabe in India. 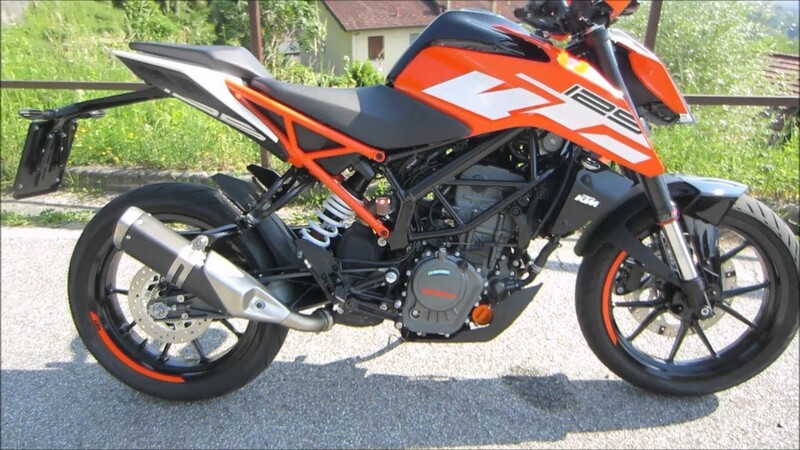 The styling of the new 125 Duke is like the KTM DUKE 200. The bike looks very similar to Duke 200. The Bike is also equipped with some safety features including the Dual ABS. Styling wise , KTM Duke 125 looks very similar to duke 200 with some redesigned new graphics. The 125cc Duke is the street Naked Bike which has a trilly frame, aluminum swingarm, 43 mm upside down forks at the front and 10-step agostable monocock at the rear.It also comes with a lightweight stiff tubular frame structure, which resuls in Enhanced performance. Talking about speed and mileage , the expected ttop speed of the Duke 125cc Bike 120 KM/H and About 270KM of range by filling the full tank. The Tank fuel capacity of new duke is 13.4 Litres. This new Duke 125cc bike is expected to return a mileage of 40-45 kmpl, which is decent for this type of performance oriented bike. The KTM Duke 125 will compete with Suzuki Gixxer , Bajaj Pulsar 200NS and Yamaha YZF-R15 in India. At the launch of KTM Duke 125 , company has said that the Bike will be available at 450 KTM showrooms across the country. the 125cc Duke is the cheapest KTM Bike available in India right now. The Booking of the Bike has already started from November. The Ex-Showroom price of 125cc Duke is Rs. 1.18 Lakh.